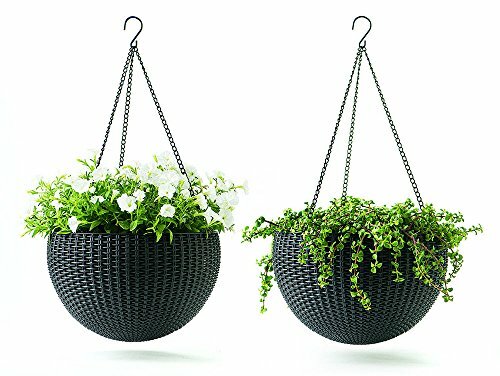 These Keter hanging planters feature durable polypropylene resin construction, so they won't rust, peel, dent, fade, stain or unravel. The rounded design makes them an attractive addition to any part of your home, indoors or outdoors. If you have any questions about this product by Keter*, contact us by completing and submitting the form below. If you are looking for a specif part number, please include it with your message.